I love so many different parts of being a Mama, from witnessing his first laugh to spending time playing outside with him, all the way to learning what foods he does and doesn't like. But one of my favorite parts of being Charlie's Mama is celebrating all of his "firsts"-particularly his first holidays! My Mama always made holidays special growing up, even if it wasn't a huge deal-special days didn't pass by without a little surprise to commemorate the occasion and I hope to always be that way with Charlie, too. His first Easter will be no different, obviously! 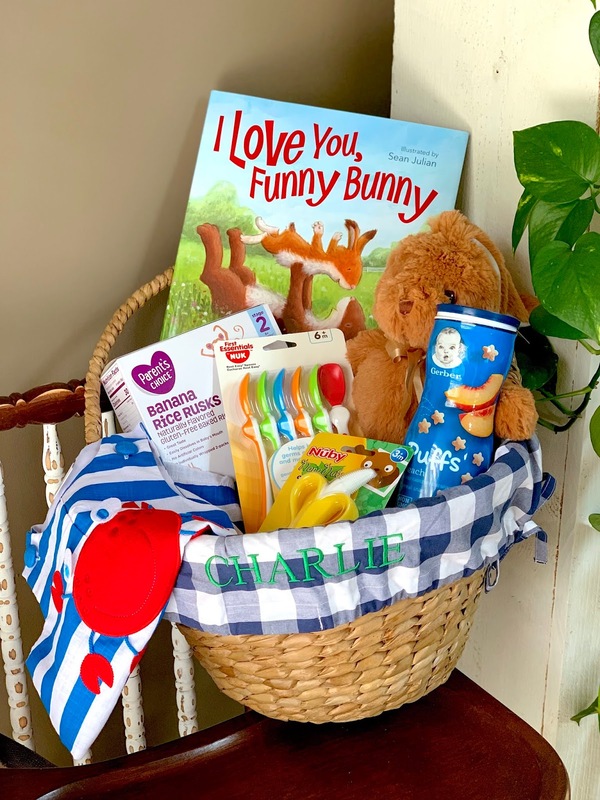 The first thing I had to decide on for Charlie's first Easter was his basket. I wanted something timeless & something that I would be able to find a match to a few years down the road if we ever had another baby, so I went to my old faithful...Pottery Barn! They have the most beautiful baskets and liners and they always seem to have a sale running, just make sure to sign up for their emails-they'll send you codes all the time! 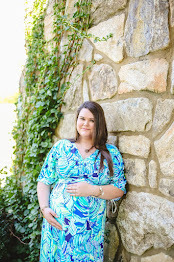 I went with the seagrass option, I just thought it might hold up better being stored than traditional wicker. Then I went with a blue gingham and green embroidery with a classic, all capitals font. As far as filling it, I knew I didn't want to go overboard-especially because he's still so little, he doesn't need much. I of course wanted to get him a few things he actually will be needing over the next month or so; more spoons because we go through at least three of those a day, puffs and teething crackers because he's about to graduate to those foods, a teething toothbrush so we can start practicing with that, a sweet bunny because it is his very first Easter, an outfit because I couldn't resist this precious appliquéd jon-jon, and a sweet book to read together! I think my favorite piece of this entire basket is the book; I Love You, Funny Bunny is so, so precious! I especially love that it's written from a mother's perspective. It's perfect for Charlie's age range now because the sentences are simple and it's not very long, but it would be a cute, quick read for many ages above him. The illustrations are adorable and I love that the bunnies stay in theme with Easter, but it's also perfectly acceptable to read to him any day of the year afterwards. I just love picking out new books for him to hopefully foster his love of reading, just as my Mama did for me as a little girl! 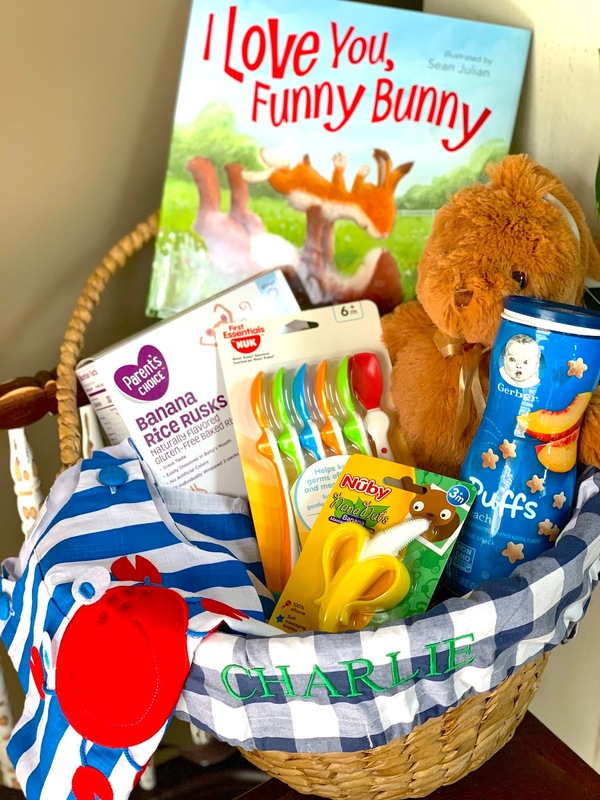 If you have little ones, please let me know what you put in their Easter baskets when they were around Charlie's age-I would love to hear some more ideas below in the comments! This book was provided for review from Harper Collins Publishing. All opinions are as always, my own and have no bias. this is SO cute!!! I love the basket.